Welds metal components together with gas welding equipment to fabricate miscellaneous parts such as platforms, stair rail assemblies, slide gates, power slide gates, swing gates, ladders, caged ladders, platform and stair columns, main structural I beams, structural vertical columns and knee braces from blue prints and shop drawings by performing the following duties. Weld metal parts together using both gas welding and any combination of arc welding processes. Perform related tasks such as thermal cutting, drilling, shearing, punch pressing and de-burring. Repair broken or cracked parts, fill holes and increase size of metal parts. Position and clamp together components of fabricated metal parts preparatory to welding. Lift heavy objects by hand or with power hoist/crane. Must be able to operate a fork lift and overhead hoist/crane. Perform assigned duties following safe manufacturing processes and conform to shop safety rules. Follow good housekeeping practices in keeping work area clean. 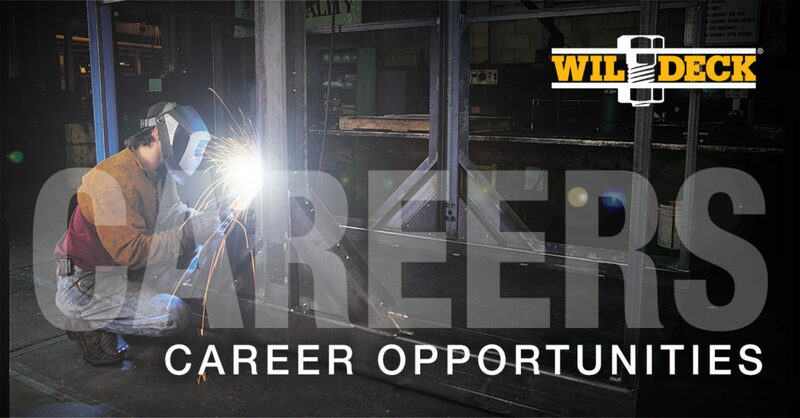 One-year certificate from college or technical school in welding or one to two years’ experience and/or welding training; or equivalent combination of education and experience. Must have basic computer skills in a windows environment/ERP system. Add, subtract, multiply, and divide numbers in all units of measure, using whole numbers, common fractions, and decimals. Ability of perform basic calculations using a calculator. Must be able to read and use tape measure. Demonstrates values of honesty and integrity, respect for others, teamwork and collaboration. Physical requirements include: regularly lift and/or move up to 50 pounds and occasionally lift and/or move more than 100 pounds when turning parts over, dependent on the part being welded. Specific vision abilities required by this job include color vision, and ability to adjust focus. Twisting, turning, grasping, reaching, kneeling, crawling, pulling, and extended periods of standing. The employee in this position must wear OSHA approved safety shoes, safety glasses, welding hood, sleeves and gloves, grinding and cutting shield and hearing protection. Employee must be willing to work as needed, as well as any shift.